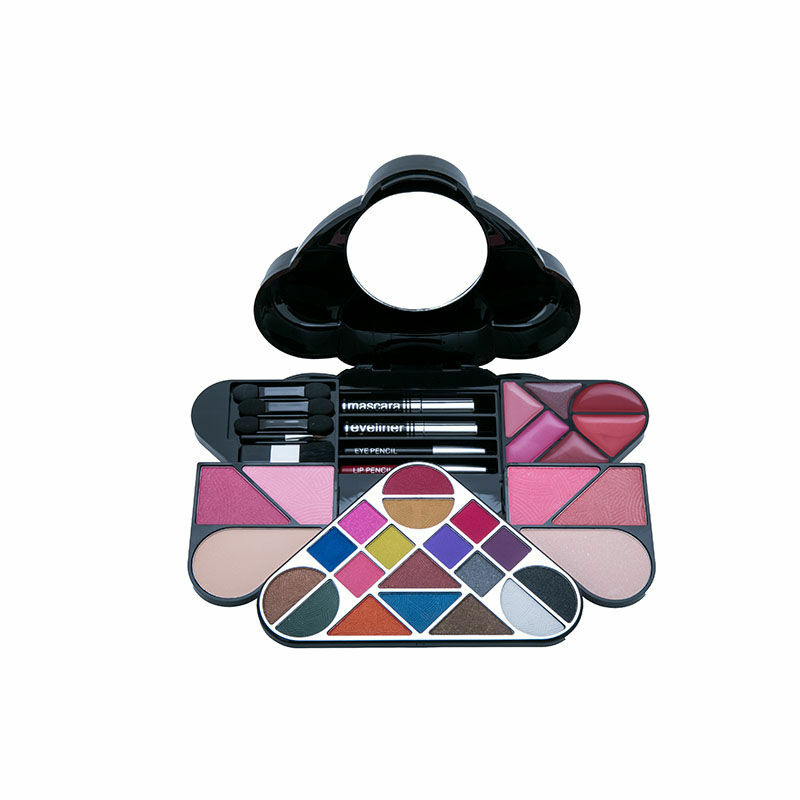 Shaped like the petals of a flower, this make up kit not only looks good, but is a high performer, too! Beauty lovers will delight in opening up this ingenious palette, which features 4 blushers, 18 eye shadows, 2 compact powders, 6 lip glosses, a mascara, an eye liner, an eye pencil, a lip pencil and enclosed applicators. Serious beauty prowess just took on a whole new meaning!